UPDATE: The following members were re-elected at yesterday's AGM meeting and will now stand for another year. The next committee election will be in August 2014. 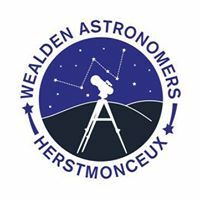 This is a reminder to all members that the W.A.S AGM for 2013 will take place this Saturday (3rd) evening from 7pm at The Observatory Science Centre. Please bring your voting forms with you if you are attending. If you are unable to attend, and would like to register a vote via email, please email Keith Woodcock your completed voting form as soon as possible - BUT no later than 5pm this Friday 2nd August.